Log in, fill up your cart and proceed to the checkout! Enter the coupon code: Click in the coupon box at the checkout to void our shipping and premium packaging fee for orders between $50 & $150. Enter the date and time that you would like to collect your fresh produce in the "Additional Information" box at the checkout. You don't need the Click coupon for orders over $150 Always FREE freight, packaging & delivery. Simply put your collect date & time in the "Additional Information" box and the order will be ready & waiting. Collection times to be during store trading hours. 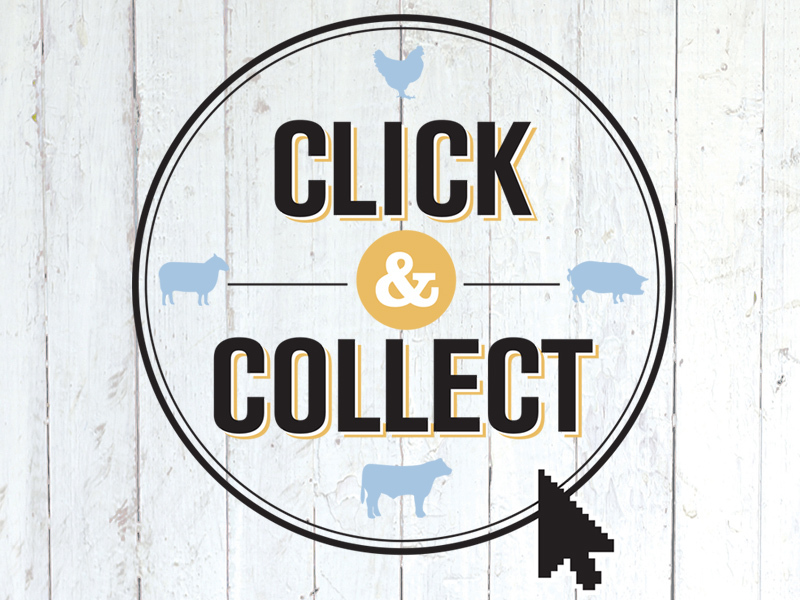 Click N Collect orders to be processed prior to close of trade the day prior to your preferred collection date. This is not a same day service! Min. online order spend is $50. If you attempt to process an order under $50 the system will say that the coupon is "invalid" & the standard shipping/premium packaging fee will be charged. If you are not in our delivery zone the system will not process your order. Please use your correct address and 3250 as your postcode and the system will process your order. The store is NOT open public holidays, so please do not put a collection for a public holiday. This is NOT a same day service. Orders are required to be processed prior to close of trade the day before you collect your order. By using this coupon standard store packaging will apply unless your order is over $150 and our premium packaging is complimentary. Premium packaging is available for $15 at the checkout and will be automatically added at the checkout if you do not use the PICKUP coupon. If you would prefer Premium Packaging please do not use the coupon. You are still required to enter your preferred collection time and date in the "Additional Information" box at the checkout or your order will be home delivered on the next delivery run as scheduled. Prices and advertised specials may vary between the store and our online store, however once produce is paid for online you as the consumer and we acting as the retailer have entered into a price contract and the price is locked in. LOYALTY COUPONS WILL NOT WORK ON CLICK N COLLECT ORDERS. We do not price match with ourselves or any other fresh food retailer. Online & store specials may vary. Remember all online orders over $150 have free delivery and Premium Packaging included. Please note a copy of our full T&C can be found on this website in the About menu.